After enduring decades of slanderous accusations hurled by the likes of dieticians, comedians, and the denizens of Portlandia, pasta may finally get some justice. 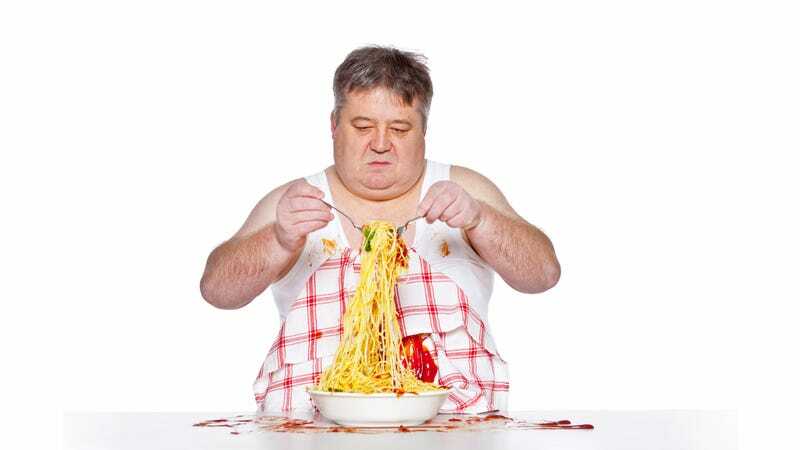 In a new study published in medical journal BMJ Open, Canadian researchers found that pasta does not directly cause weight gain. In fact, they discovered that eating three servings of pasta per week can lead to weight loss—one pound over 12 weeks, which is admittedly not much, but who the hell cares? So far, there’s been no announcement of a parade, Order of Merit, or Nobel prize for the Toronto-based research team, but we can only assume it’s coming. The science behind this day-making breakthrough concerns the the low glycemic index of the delicious, delicious noodles. San Francisco’s ABC 7 reports that low-GI foods cause lower increases in blood sugar levels, and the study further states that their subjects saw reduction in both body weight and body mass index. This stands in contrast to foods with a high GI, which are absorbed more quickly by the body; this category includes things like white bread and potatoes, because all good news must also somehow be bad news these days. As usual, there are many, many caveats, the biggest being that no one has invented an alfredo sauce designed to shrink your waistline, but it should also be noted that participants in the study were following a low-GI diet in general. According to Newsweek, the serving size was around half a cup on average, which amounts to almost no pasta at all. Still, it’s best not to look a gift horse in the mouth, especially if the horse’s mouth is filled with penne alla vodka. One final note of warning: as pasta giveth, so pasta taketh away.